There are many ways to judge the success of a sports event. The most direct, of course, is attendance and the economic impact that visitors provide the host city. Then there are the residual effects, which include those who enjoy the destination so much they decide to return—perhaps even permanently. While rare, this is just what happened when Jerry and Tove Shere made the decision to move to Cleveland after participating in USA Triathlon’s 2018 Age Group National Championships. The Sheres, who live in Santa Fe, New Mexico, knew nothing about Cleveland when they decided to travel to the city last August to participate in the championships. They weren’t even planning on participating until a friend of theirs—Bill Conway—called them up and said he wanted to enter the Cleveland event to help him qualify for the world championships. 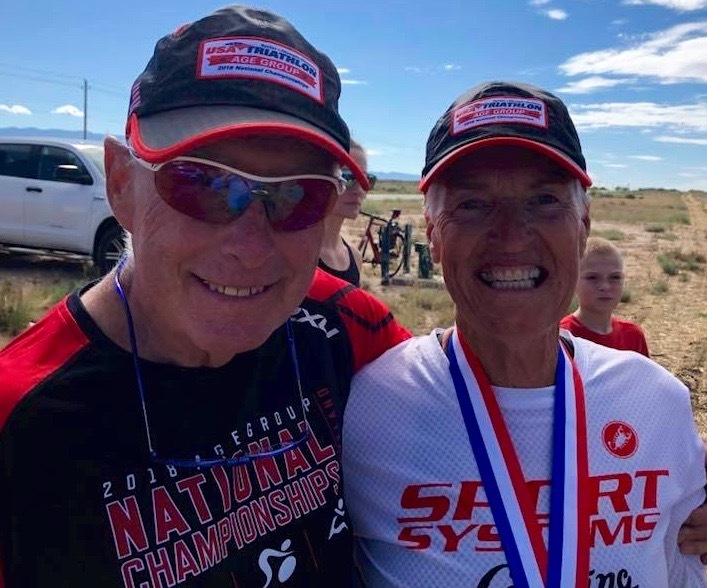 Jerry Shere (left) and his wife, Tove, decided to move to Cleveland after participating in the USAT Age Group Nationals. That was certainly true for the Sheres. They had already been looking for a place to retire, and they decided to see if Cleveland offered the kind of active outdoor lifestyle they enjoyed. In addition to triathlon, they enjoy sports such as cyclocross and Nordic skiing. They also found that the people of Cleveland were “some of the nicest and most welcoming we’ve ever met,” Shere said. All the elements fell into place, and within a few months they had sold their house in Santa Fe and bought one in Cleveland. Jerry Shere has been getting their new house ready while Tove finishes up her final year as a teacher and coach at Santa Fe Prep. On May 31, the two will become full-time Cleveland residents. 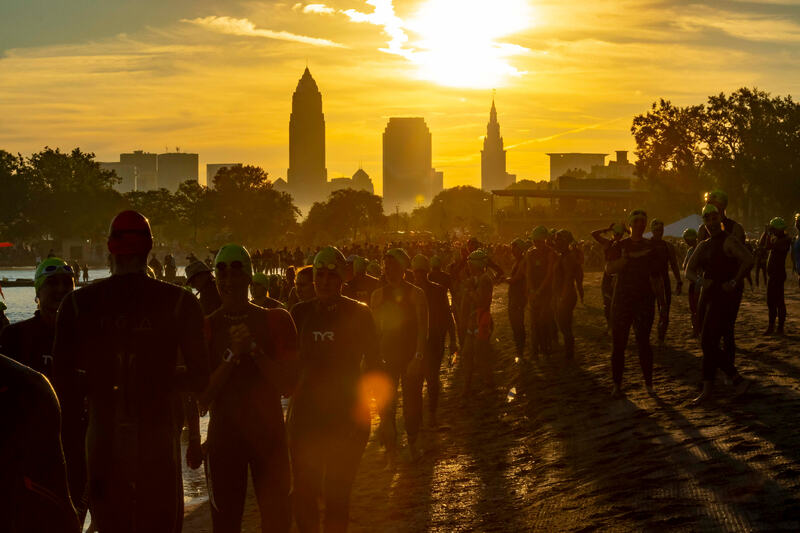 USA Triathlon is hoping to increase the number of participants to 6,000 at this year’s Toyota USA Triathlon Age Group National Championships, which will again be held in Cleveland (USA Triathlon offers two-year agreements for this particular event). This time, the Sheres will be there as locals, a story that Gilbert is hoping to replicate.